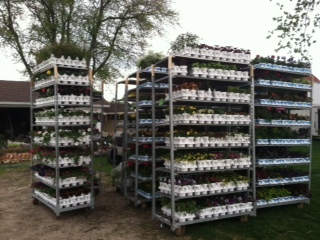 Last weekend I sent a mass email to everyone I plant for saying, “Planting Time Is Here!” I knew it was here because night temperatures were staying above 40 degrees and I had three truck loads of flowers come in on Tuesday and Wednesday. 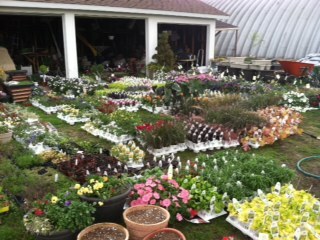 3,496 pots, hanging baskets, and flats! 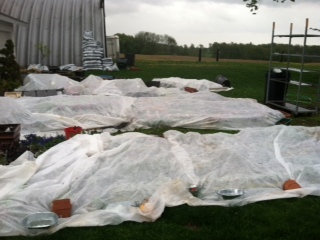 I was so excited to get started, I had my planting schedule packed full for Thursday and Friday, until Mother Nature threw a curve ball for the weekend. Thursday morning was the first I had heard the forecast called for a frost/freeze this weekend. Sad to say I was wrong, planting time is not here. I cancelled almost all the jobs I had scheduled. 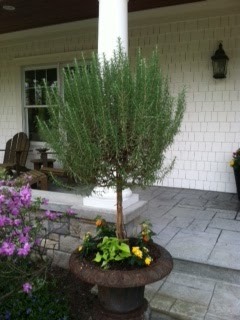 I did do a few plantings for clients who were willing to cover their pots this weekend. 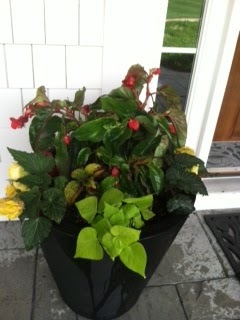 Here’s some pictures…. When this happens (it happened last year too) it makes me REALLY miss my greenhouse! 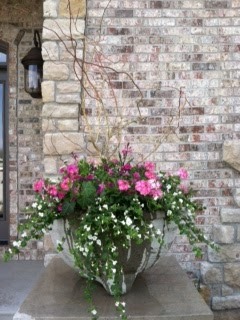 I might be ready for summer plantings, but Mother Nature is not quite ready.